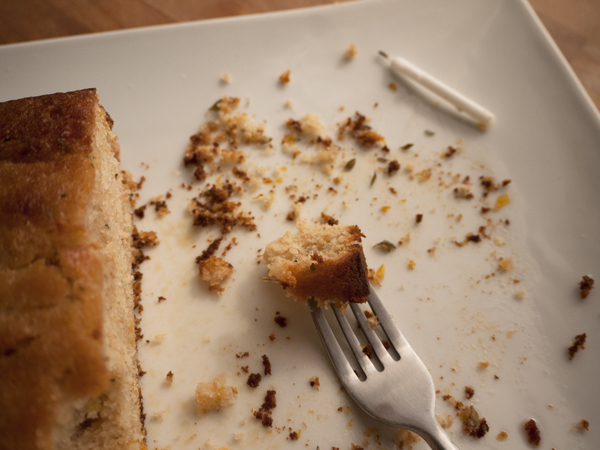 My last attempt at a lemon-herb cake was a beautiful disaster. (Full details here.) This one was a total success. 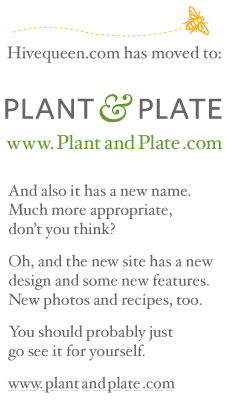 It may have helped that I started with a different recipe. One without zucchini. Also, this time I remembered to add all of the ingredients before putting the cake into the oven. You're still out of luck if you're trying to use up extra zucchini. I'll keep working on a zucchini version once they're back in season and I'm desperate for any way to use them up. On the other hand, this one will help you use up that huge bowl of lemons you have lying around — you'll need 8 or 9 of them. (If you don't have a bunch of lemons, remodel your kitchen and get Dwell or Apartment Therapy to come photograph it — stylists always seem to bring large bowls of lemons to the photo shoots). This is a cake for grown-ups: intensely lemony with deep herbal notes, a hint of bitters, and just enough sugar to balance the tartness. Normally I use more lemon zest than recipes call for, but the original Barefoot Contessa recipe I worked from has 1/3 cup of zest, plus almost a cup of lemon juice. That's plenty, even for me. Not to say I didn't make a few tweaks. I added herbs — about a half-tablespoon of finely chopped fresh rosemary and 1 or 2 full tablespoons of lemon thyme (though I think next time I'll try increasing those even further, or experiment with lavender and sage, though not necessarily at the same time). Also, I didn't have any buttermilk, or even my first-choice substitute: lactose-free organic low fat live culture kefir (you can also substitute regular kefir if you're not a hypochondriac lactose intolerant). Instead, I used a combination of yogurt and almond milk, though this cake has enough lemon juice that you could probably get away with any milk or pseudo-milk you like. Note on substitutions: don't try subbing milk for buttermilk with other recipes. Normally, a recipe calls for buttermilk because it needs an acidic liquid to react with the baking soda and make your cake rise. However, since this one called for mixing the buttermilk with 1/4 cup lemon juice — plenty of acid — I figured it was more about the fact that the lemon juice would make neutral cow milk curdle unappetizingly. 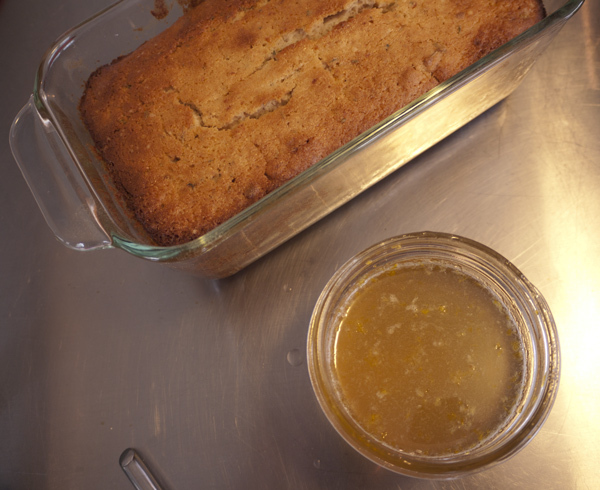 I skipped the glaze, but kept the lemon syrup that you make and pour over the warm cake. 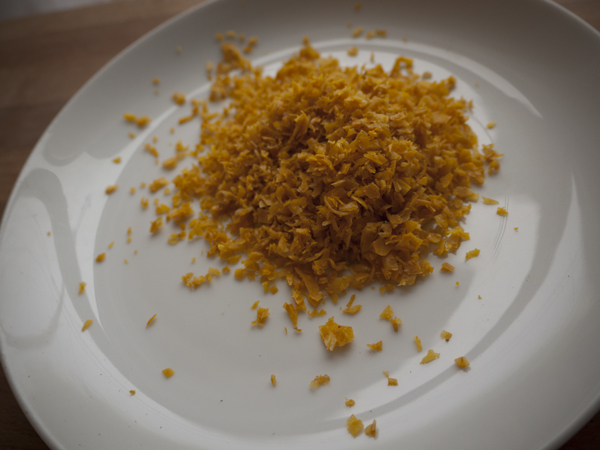 I mixed it in the bowl I'd used for the lemon zest. Since I hadn't rinsed it out, there was still a fair amount of zest stuck to the sides, and the result was tiny bits of candied lemon zest floating in the syrup and dotting the top of the cake. Extra delicious, not to mention extremely pretty. In a large bowl, cream 1 cup butter and 2 cups sugar with your electric mixer until fluffy, or by hand until your arm gets tired. Beat in 4 eggs, one at a time. Add 1/3 cup lemon zest, 1/2 Tbsp finely chopped rosemary, and 2 to 3 Tbsp fresh lemon thyme. In another bowl, sift together 3 cups flour, 1/2 tsp baking powder, 1/2 tsp baking soda, and 3/4 tsp salt. In a third bowl (or your liquid measuring cup, if you're very clever or lazy) combine 1/4 cup lemon juice, 3/4 cup buttermilk, and 1 tsp vanilla extract. 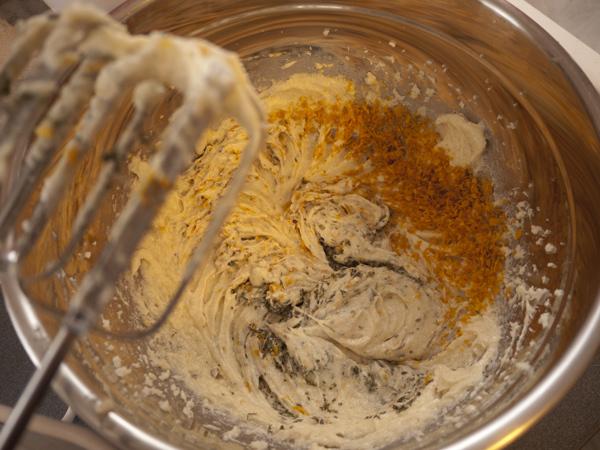 Alternating between dry and wet ingredients, add the flour and liquids to the batter, starting and ending with flour. After each addition, mix just enough to blend the batter — overmixing will develop the gluten in the flour and make your cake tough and dense. Put half of the batter in each loaf pan and bake at 350° for 45 minutes to an hour. Meanwhile, make the lemon syrup. In a saucepan or microwave-safe bowl, mix 1/2 cup sugar and 1/2 cup lemon juice. Once the cakes are done and have cooled off for 10-15 minutes, drizzle the lemon syrup over their tops and down the sides. It will soak in and make them extra moist and delicious.